Coronet Peak opened in 1947 as New Zealand’s first commercial ski field and has led the way ever since, pioneering night skiing in New Zealand and New Zealand’s longest ski day with First Tracks. Only 25 minutes from central Queenstown to experience the South Island’s longest day on the slopes. 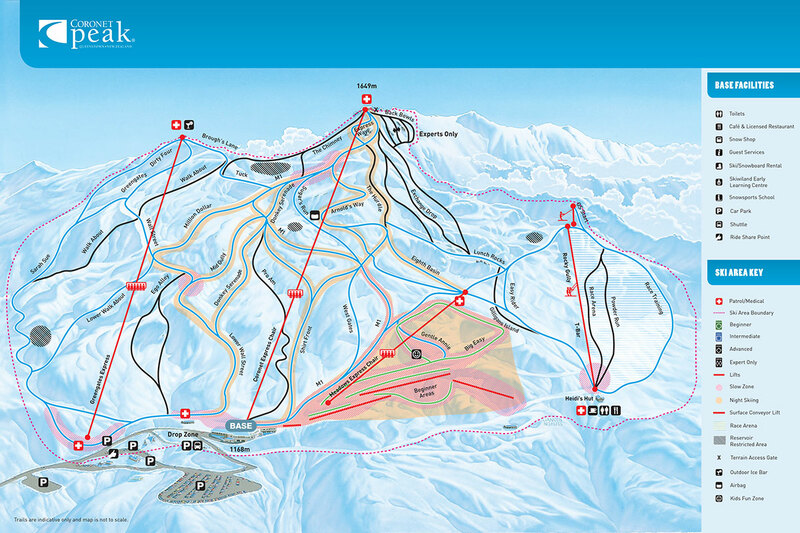 Start at 8am with First Tracks and continue well after dark with night skiing until 9pm. 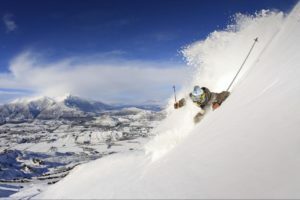 From 1,649 metres the legend that is Coronet Peak ski field starts you off with a spectacular outlook of lakes, mountains and rolling farmland, then takes everything up a notch with a ski buzz few mountains ever achieve. From die-hard locals stopping off for a few runs on the way to work, to ski teams from around the world in training and holiday-makers happy to cruise, the 280 hectares of terrain is like an extension of Queenstown’s renowned atmosphere. Some 462 vertical is varied enough for everyone to make their mark, and with less than half-an hour back to town the fun never has to stop. Facilities: Fully licensed restaurant, bar and cafe, rental shop, childcare, air bag operating weekends and night skiing hours. 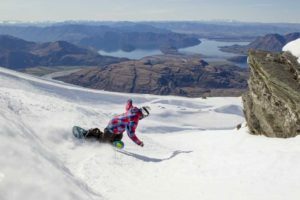 Highlights: An easy 20 minutes from picturesque Queenstown, Coronet Peak is perfect for serious action or sharing great times. Stunning high points and rolling trails offer seasoned skiers and riders something to really get your teeth into! 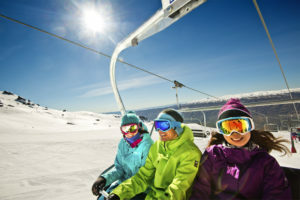 Check out all the ski packages in Coronet Peak Ski Resort and the bus timetable.